Gioconda Soft Pastel Pencils issue the smooth finish of conventional pastels without the mess. They are highly pigmented with a buttery smooth feel, and have excellent blending and toning characteristics on dark or light mediums. 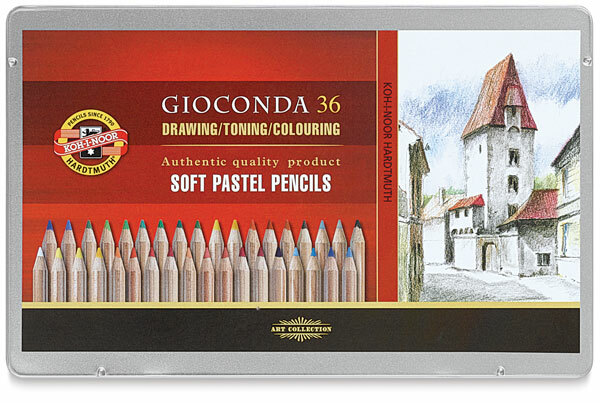 ® Koh-I-Noor is a registered trademark. Gioconda is a trademark.